A signal is detected in the outer rim of the galaxy, located in a system with a neutron star in the center. The signal is in a old faction territory, now empty. Will you explore it? DarkPearl Hii .... Who are you?.... HOW YOU GOT HERE, SECURITY KILL HIM!!!! A large container appears out of a space wrinkle in the system. Due to the fragility of original smaller containers, this one was redesigned from scratch and its decorations now magnetically connect to each other when damaged, adding durability to the container. The container is white and has striking golden decorations. One side is sealed in some unfathomable way with hardlight. It looks as if it is a lock of sorts that can disable hardlight to completely detach this side of the container. A Nova Republic scout is sent to investigate. G4L4XY The scout find the source of the signal at Home One station, even though its deactivated after the Zankaran going away. The scout calls upon an Antares V2. It quickly arrives. Captain: We've arrived, what seems to be- oh my... Is that?" The captain takes off his hat for a closer look. He shouts for the admiral to arrive. Admiral Tal'Ran looks, with his mouth gaping open. The memories hit him, and he sheds a tear. G4L4XY The station automated defenses power up, the station appears to start up dialing sequence. "Wait, that fossil's still active?" The Antares V2 powers up its shields and weaponry in case it needs to defend itself. The giant 90km ring power up and the Hypergate activate. DarkPearl The crew members are shocked as the hypergate activates. "Does that mean the Zankaran are..."
Nova Republic, its a great pleasure to see you are doing fine. We hope we did not disturb you, we would like to help, in any way we can. 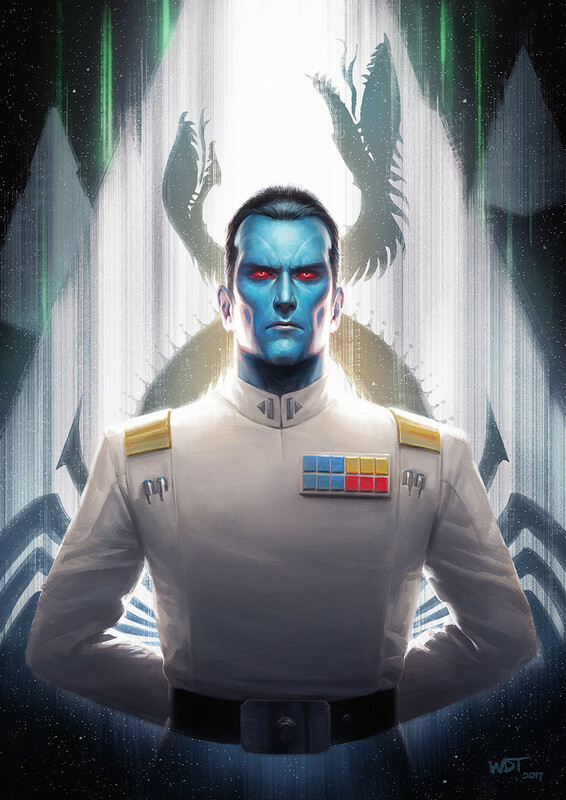 The viewscreen reveal the face of the new emperor of the Infinity Empire: Grand Admiral Thrawn, and with him, the Zankaran Empire is back! The ships keep passing through the Hypergate, hundreds at a time. DarkPearl The crew is overjoyed, and celebrates the return of their greatest ally. "Zankaran, we are glad that you have returned. We have gained freedom from the peacekeeping military which oppressed us, and are now the Independent Nova Republic!" "Those are great news, congratulations, we will be working on our setup, thanks for showing up."